You know how some things make you feel so helpless and insignificant that you want to scream at the nearest living being around and say " WHAT THE HELL . " Five years ago in August 2007 a 16 year old boy left the house to meet his friends. He was discovered dead in the bushes of Navi Mumbai. 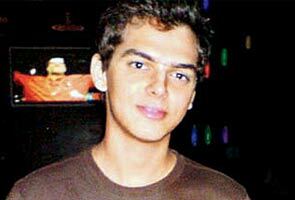 He had been strangled .His father's car was found on the Palm Beach Road , Vashi. I was 15 then , watching tv and flipping through channels when I saw this news. I don't exaggerate when I say this , but I remember every little detail of that day. I thought to myself it could so easily be me or someone I know , or someone I'm close to. The alleged killers - five in all were the boy's friends from a gaming parlour. They kept in touch through a social networking site. The group of them , according to the police needed quick money. Some had debts they needed to settle. Adnan , that was his name , seemed like a gullible target. Rich businessman dad , with a good set-up in Andheri. Adnan left the house with his father's car and the next morning his father recieved a call for a 2 crore ransom . Adnan was knocked unconcious by spiking his drink. Meanwhile the news of the kidnapping had broken on the news channels. So the abductors strangled him , dumped his body and took local trains home. Key evidence in the case being the messages exchanged between Adnan and the alleged kidnappers on the social networking site, one of them told the police where Adnan's blood stained clothes were hidden. There was a witness who had seen Adnan being thrust into the car in an unconcious condition. The police had relied on circumstantial evidence. Now five years later the court acquits the 5 "alleged" killers because of lack of concrete evidence. The witness changes its stand and the accused are left without a single allegation on them . This is India and this how the law works here. You kill someone and get away just like that because the burden of proof always lies on the victim . It took 5 years for them to firstly come to a conclusion and when they did , this is their answer. The evidence is not good enough and the acquitted have the audacity to say that the truth has won , that they lost a friend and then were accused of killing him . You know what's not good enough , a 16 year old boy being killed is not good enough. The press being a bunch of cowards and not standing up for this is not good enough. This instilled a fear in me five years ago , fear of making friends online , fear of trusting anybody, fear that 16 year old people get killed for money. This is not good enough. I do not understand how people are okay with this . Why is there no outrage for such cases , why can't we fight for these things like we fight corruption . I want a Jessica Lal case type march for Adnan Patrawala's justice . I have no personal connection with him , I don't know the guy but everytime I see that innocent face on the news it kills me a little inside. If the alleged are innocent , why did it take five years to decide that . What disgusts me most is how the trending topic of Twitter is Shahrukh Khan slapping Shirish Kunder. How stupid are we becoming , why are people not talking about this , why are we not fighting for justice. I don't know what this blog post is going to achieve, but if my posting this is going to make even my 46 followers , share their outrage about this verdict I feel its worth it. I want the press to do the something , use its power and just not hold baseless discussions . Let's not have a " Not in my backyard" attitude. This happened in my city but it could happen in yours . Hundreds of cases just lie there with no conclusion . It has to stop somewhere. The value of a life has to be understood . I want to grow up in a country where justice is served and no one gets away with something as grave as murder. I'm hoping for better days , I'm hoping for a little awakening . Nirali - i share the same feeling and was thinking of writing about it this evening while I saw yours .. I had somewhere forgotten about this case but it all the came back to me this evening when i heard of the verdict ... Justice has not been done to Adnan and his family ..
That's the whole problem , people forget and then nothing happens . It makes me sad how things are going with the case. Yes, the legal system is as faulty as a leaking kitchen pipe. I'm yet to recover from the shock of how the Aarushi murder case was botched up. yeah i was going to mention that , in that case the evidence was washed away the very next day, bloody planned murder that was. No evidence whatsoever. The fact that my last ranting post got more comments than this one also says alot , about what kind of things people give importance to. It makes me sick . Even i feel bad for all those people who were victims of our unfair society and corrupted judicial system. Whenever i get to hear things like thins, i remember the words spoken by Ameer Khan in the movie Rang de Basanti. Its only we who can change the society and take little measures to improve our corrupted system. Hey Nirali, wanted to say something personal on this post.. today, post lunch, I was flipping through the channels and came across Adnan's story in channel V ( Gumrah, end of innocence). After watching that , I reckoned that you had done a post 4 months back on this guy.. I did read your post that time, but I was too dumbfounded too comment.. today I couldn't hold back to come back and read this post again.. talk about hypocrisy of society ("What disgusts me most is how the trending topic of Twitter is Shahrukh Khan slapping Shirish Kunder")..I don't understand how the law and order could not see what was clear to every lame person that those guys did commit the crime.. when you say "This instilled a fear in me five years ago , fear of making friends online , fear of trusting anybody.." , I could not agree more.. what have we come to? has all the innocence of friendship died? why is it betrayal everywhere? Like you, I so badly wish we could bring on a permanent phenomenal change.. but amazingly, what can we do?? we can shout, write in our blogs, feel the pain, bring out rallies.. but at the end of the day.. is that enough to stop all the ongoing corruption? as you said, we can only hope for better days, pray to the Supreme for justice and instill a bit of awakening in ourselves..
P.S: I am really sorry.. I have never criticized people online but the comment above my comment is what I call "disgusting" for its frivolity .. specially in a post sensitive like this.. this what we call hypocrisy.. sigh..